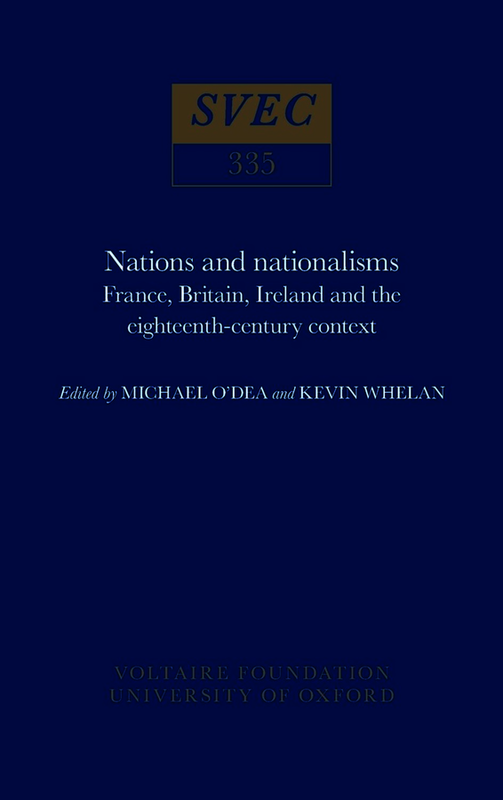 At a moment when nationalism is resurgent and stubbornly refuses to obey past predictions of its imminent demise, a scholarly return to the inaugurating eighteenth-century debates about nationalism, nations and the nation state seems not only desirable but necessary. This collection of essays surveys the issues under eight headings, with the French Revolution as a recurring reference point – not least because of the tension within the Revolution between national interests and universal aspirations, a tension that arguably continues to beset modern ideas of the nation. The volume offers a broad survey of current thinking on the eighteenth-century nation and the emerging nationalisms of the age. Clusters of essays provide extended treatment of the certain major topics, while others give unexpected sidelights involving figures as diverse as John Toland (Irish philosopher) and Brillat-Savarin (French gastronome and cosmopolitan nationalist). All combine to provide a clear focus on an area of eighteenth-century studies of continuing relevance to the modern reader in Europe and beyond.